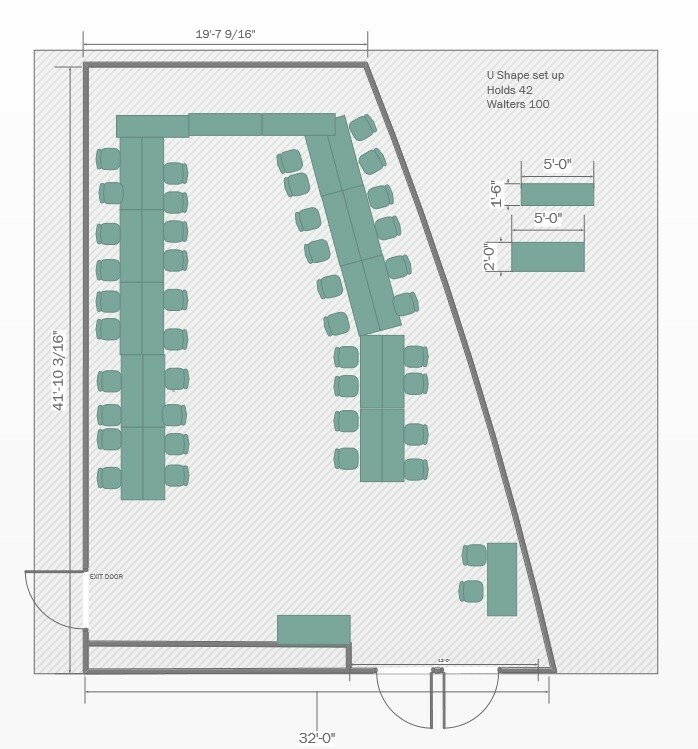 The following are diagrams for the potential layout of Walters Hall Room 100 for an event or meeting that wants a special setup. Each has specific advantages and can dramatically change the style of your event. 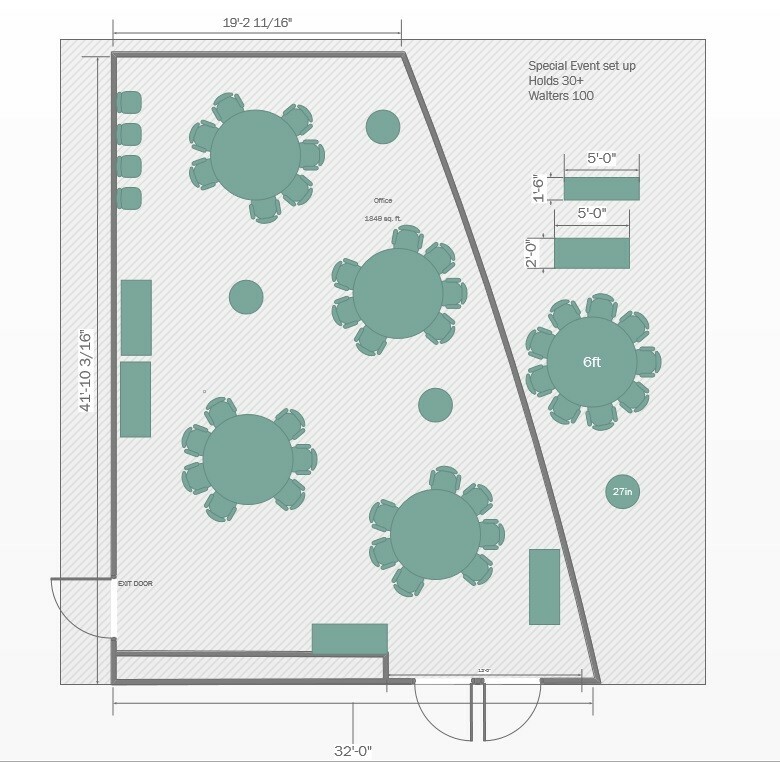 You can refer to the layout that you need when completing an event services request. These diagrams were compiled from events held in Walters 100 over the past few years. These were also chosen because of their fire code compliance and handicap accessibility. Custom event set-up outside the options provided here can be arranged by request to Event Services on an as needed basis. Chairs at tables facing the front of the room. 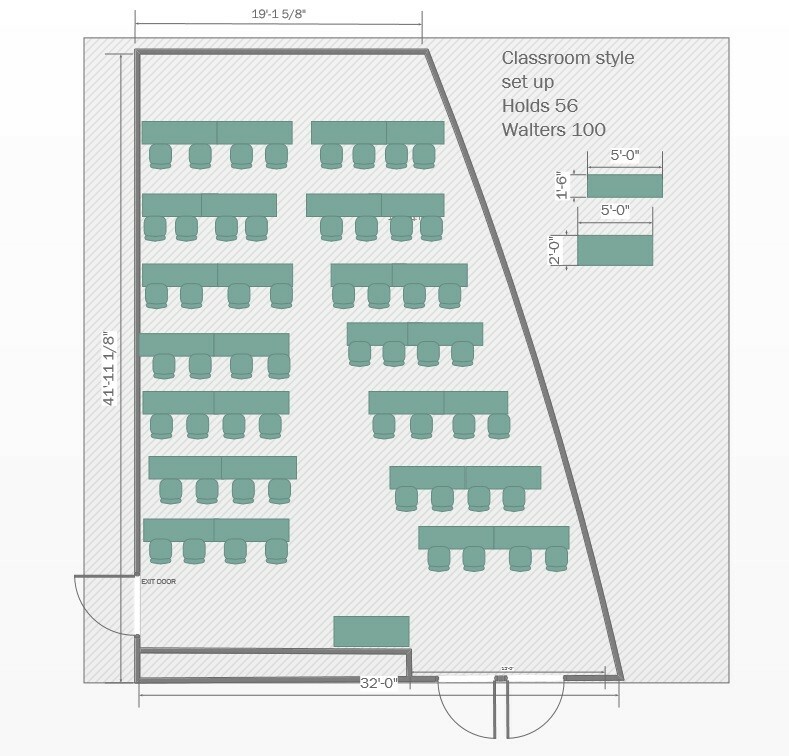 Ideal for group discussion, but also has a central area for concessions. 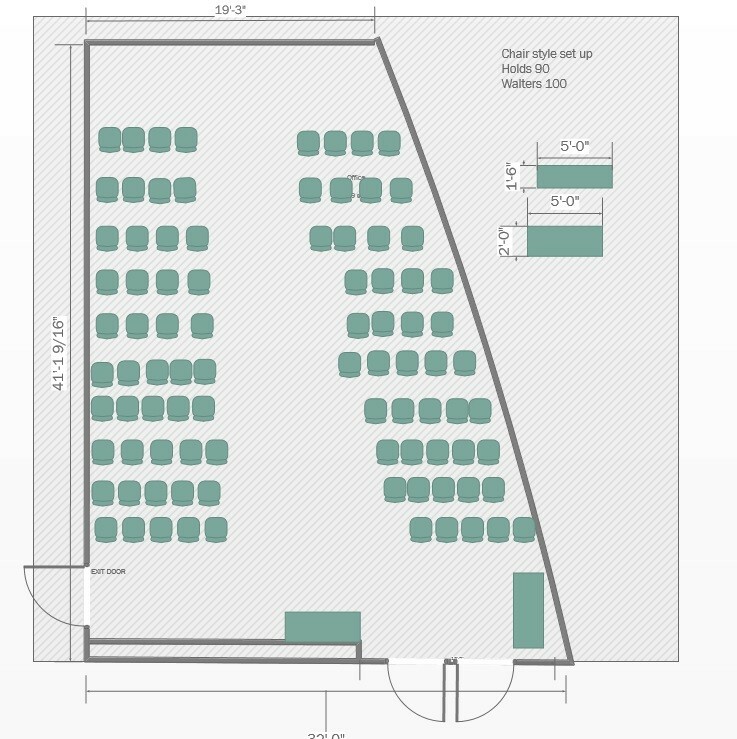 Tables are more spaced out since middle runner isnt needed. The use of round tables is a labor intensive effort. 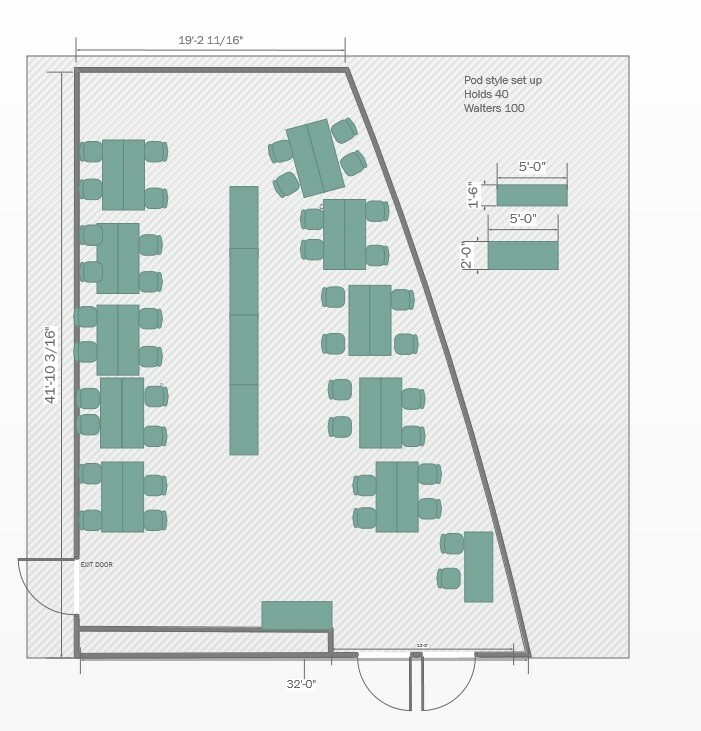 Switching to round tables may not be feasible based on room usage around the event, or if it doesn't fit into the facilities plan. Event Services should be notified if you plan to use this method. How do I reserve Walters 100 with one of these layouts? 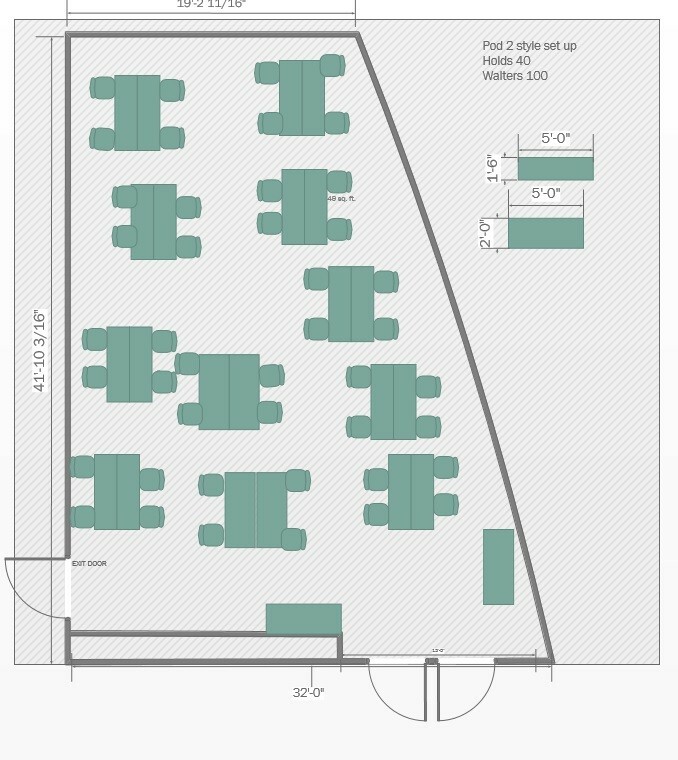 If you are interested in reserving Walters Hall Room 100 with one of these layouts, you will need to complete an event services request form. While completing the form, specify Walters 100 as the location and incude the name of the layout that you would prefer to use. The Event Services Program Manager will assist and make sure the appropriate layout is used.